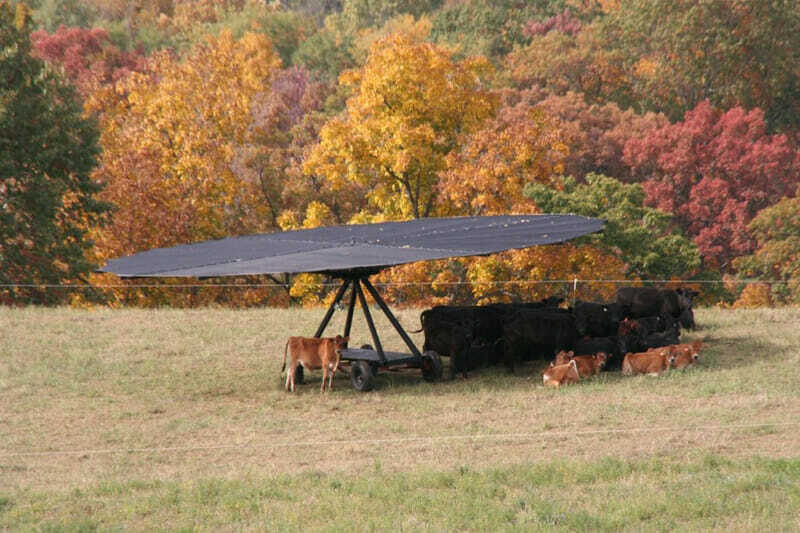 Another way to calm your cows. 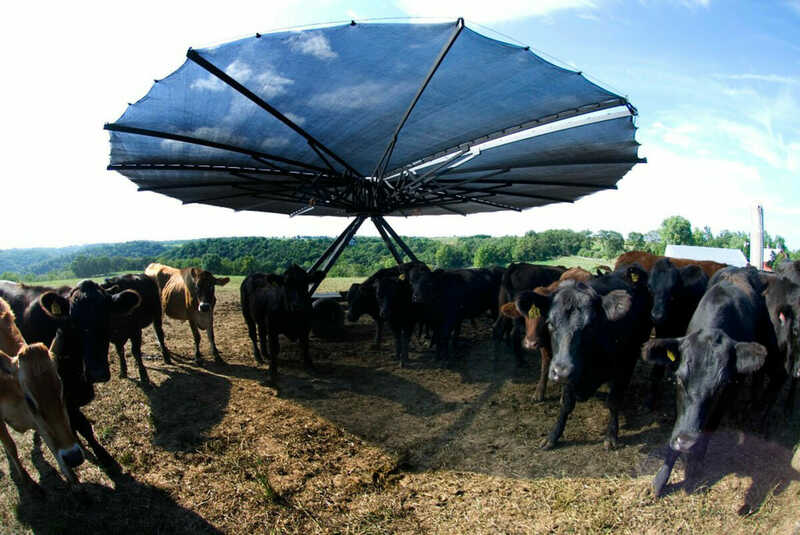 Farmer Vince Hundt has found a way to relieve his cows from the broiling Wisconsin sun: a large, pop-up canopy that shades up to 75 animals. The Shade Haven looks like a large, chic, black umbrella. It takes about five minutes to set up and can be pulled behind a truck, car or horse. New designs can be ordered with a fly-control system, weather stations and a remote opening and closing option to quickly shutter the shade in high winds.